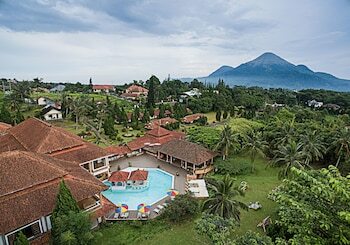 With a stay at Royal Trawas Hotel & Cottages in Trawas, you'll be 6.8 mi (10.9 km) from Finna Golf and Country Club and 10.3 mi (16.6 km) from Taman Dayu Golf Course. Featured amenities include a business center and dry cleaning/laundry services. A shuttle from the airport to the hotel is provided for a surcharge (available 24 hours). Located in Curug, RedDoorz Plus @ Permata Karawaci is within a 15-minute drive of Siloam Hospital and Pelita Harapan University. Free self parking is available onsite.